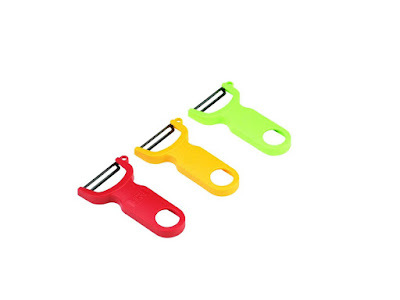 Savvy Spending: Amazon: 3 set Swiss Peeler in three colors for just $1, plus $4.49 shipping! Amazon: 3 set Swiss Peeler in three colors for just $1, plus $4.49 shipping! Amazon has this highly rated Kuhn Rikon 3-Set Original Swiss Peeler in Red, Green and Yellow for just $1 with $4.49 shipping! This would make a great shower gift addition or housewarming present!